Dominic Thiem has ended Roger Federer’s chance for a record sixth Indian Wells victory thanks to a three set very in the final that was played in California. The Austrian, who is seven seeded, fought hard to beat his veteran opponent 3-6 6-3 7-5. Swiss player Federer, who is a 20 time Grand Slam title, managed to convert only two of the 11 break points, and made 32 unforced errors as compared to Thiem’s 25. Thiem has now risen to fourth place in the world rankings after he secured his first title at a Masters 1000 event. 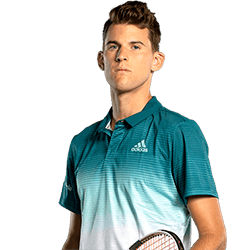 Talking about his victory, Thiem stated that it felt unreal what had happened in the last 10 days, and that he came from bad from in all of the categories, and now he is the winner of the Indian Wells. Federer lost last year’s final at the Indian Wells to Juan Martin del Potro, and put in effort to start off his latest game in strong form. He created an early break opportunity in Thiem’s first service game, and converted his fourth point at the opening for the set for a 2-0 lead. Thiem, who was competing in his third Masters 1000 final, forced the error out of the backhand from Federer and got back on serve, but the Swiss player kept the pressure on throughout. The Austrian finished off the game when Federer sent a return into the net, adding to the 70% total of his first serve points so far. Great Britain has brought an end to their 26 year wait for promotion in the Fed Cup after Katie Boulter claimed a 3-1 over Kazakhstan and saw the team celebrating their promotion. The squad ran on to the court and began to hug Boulter after she beat Zarina Diyas 6-7 …. 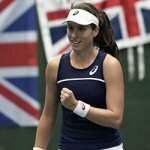 Johanna Konta, current number one for Great Britain, is hoping that she’ll be able to use more home crowd vigour that saw her return from the brink of collapse as the country prepares to seek promotion in the Fed Cup in their last tie. 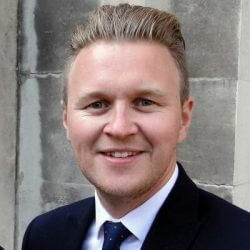 The British side is ready to …. British number one Kyle Edmund lost an early lead after being beaten by Diego Schwartzman during the first round of the Monte Carlo Masters. 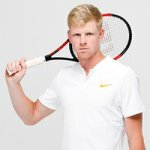 Edmund, who is currently number 23 in the world, led the game against Argentinian Schwartzman by a set and 3-0, but he eventually lost 4-6 6-3 …. 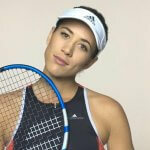 Garbine Muguruza has successfully defended her title at the Monterrey Open after Victory Azarenka was forced to leave the game due to a leg injury. Azarenka, former world number one, who was playing her first singles final in three years, called for a medical timeout after she lost her first …. 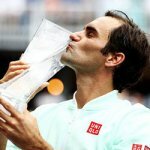 Swiss Roger Federer has claimed his fourth Miami Open win thanks to a 6-1 6-4 victory over defending champions John Isner. The 37-year-old world number five started the game in good form, and took the first set within 24 minutes. It was also his 50th Masters final, and the fourth ….